Although Alexander The Great only lived for 32 years he managed to pack a lot into his short time, conquering much of the known world from the shores of Italy to India. Although he has remained famous for 2,500 years, he’s now been given the honour of starring in his very own online casino pokie from Bulgarian developer Euro Games Technology (EGT). 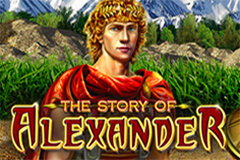 Whether he looked like the blonde guy depicted across the reels of The Story of Alexander video pokie may remain a mystery, but it’s a good-looking game, where the star of the show, his horse, a beautiful woman and the lighthouse of ancient Alexandria land across 5 reels, crossed by 50 paylines. Some of these icons will treat players to bonus features such as wild substitutions, and there’s a free spins game where the wild stays in place until the end, plus we have the option to gamble wins of below a certain amount, along with the Jackpot Cards progressive round. The visual appeal extends to an image of hills and forests behind the reels, but this game is laid out in much the same way as other EGT pokies, with the title and 4 levels of the progressive jackpot seen above the reels, while below is the standard control panel that they use. It’s easy to get set up, and there’s a low limit bet of 50 coins, while the maximum is 1000, and most winning combinations will come from the same symbol stopping on reels in an unbroken sequence across a payline from the left side. If 50 coins is too much to stake on an unknown game, most casinos offer free The Story of Alexander video pokies that can be used for practice sessions. Like many games, the lower value wins are made by playing card symbols, and in this case, we have 9, 10, J, Q, K and A paying between 10 and 100 coins when landing across 3, 4 or 5 reels of a line, while a jug of wine and feathery helmet will each be worth 20, 50 or 125 coins. A treasure chest and one of the famous elephants used by Alexander, will pay out a little more, but top of the table is reserved for Alexander himself and his lady friend, who will each return wins of 10 coins when landing on just reels 1 and 2, up to 250 for full lines. A black horse is the special wildcard in this game and although it will only appear on the middle 3 reels, it’s able to substitute for all others, apart from the lighthouse, if it can then complete a combination, or stretch a line of 3 matching symbols across to the fourth reel. The lighthouse at Alexandria in Egypt was one of the 8 wonders of the classical world and here it has the job of lighting the way to a free spins bonus game when landing on reels 1, 3 and 5 at once. 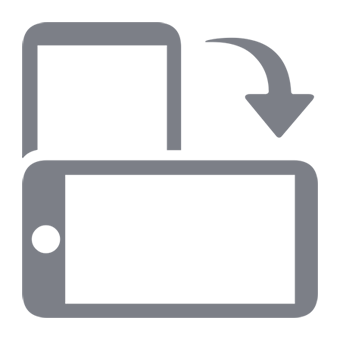 It’s also worth a small win, after which the bonus games begin, with an initial award of 10 free spins. During these, any wild symbols that appear will stay locked in place for the rest of the round, while the lighthouse turning up on reel 1 will see a further 7 bonus spins added on to the total. Players will be given the option to gamble their wins, and anyone who likes a bit of risk will be able to open up a second screen where they will see a playing card flashing from red to black at high speed. If they click the adjacent red or black buttons at the right time to match card colour, the triggering prize is doubled and they can either cash out, or go again. Naturally, a wrong pick loses the gamble, so it’s best to approach this round with caution and perhaps only risk smaller wins that won’t be missed if and when it all goes horribly wrong. The randomly-awarded Jackpot Cards round will never go wrong however, as once triggered, players are guaranteed to get a progressive prize, from the smaller club award, through Diamonds and Hearts, to the top-value Spade jackpot. 12 cards are shown in this round, and once 3 matching suits are found among them, the corresponding jackpot is claimed. The classical theme will certainly attract players to this pokie machine, and hopefully, the bonus features will make them want to return again and again. The free spins and locked wilds should see gamblers creating more and more winning lines as they progress, although that’s not actually guaranteed, so fortunately, even the base game can be rewarding, with the high return to player percentage that all EGT pokies have.